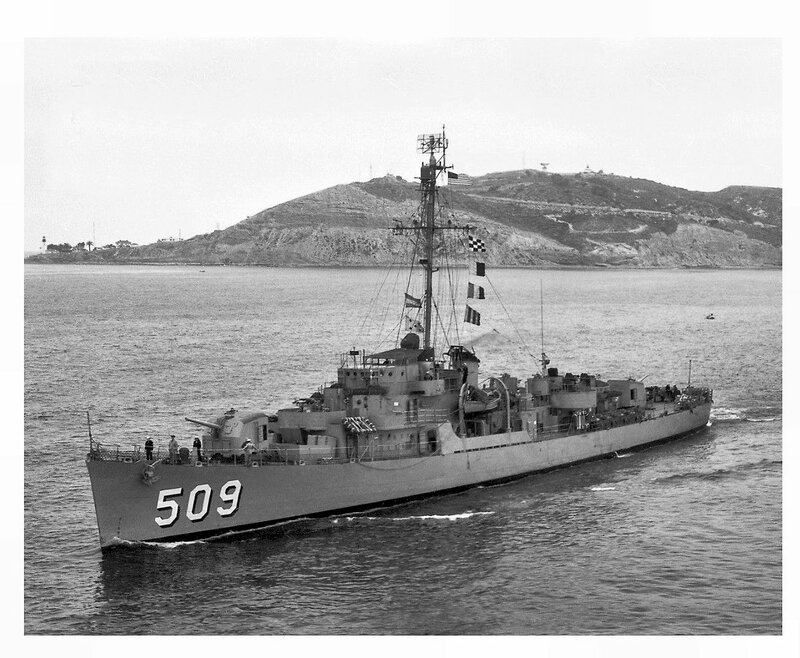 27 June 1951: Recommissioned at San Diego, Cal. 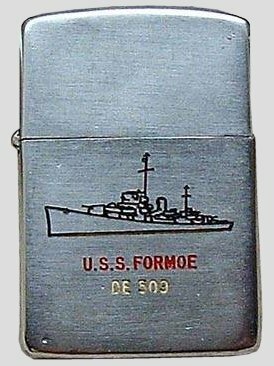 92k circa 1949: Formoe underway at speed. 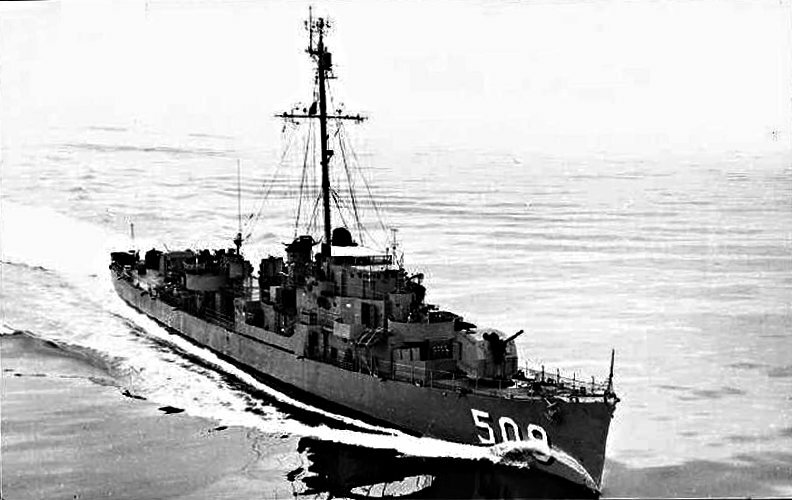 Standard layout for this class, but note whip aerial fitted aft, and Hedgehog clearly visible, just aft of 5"/38 mounting. 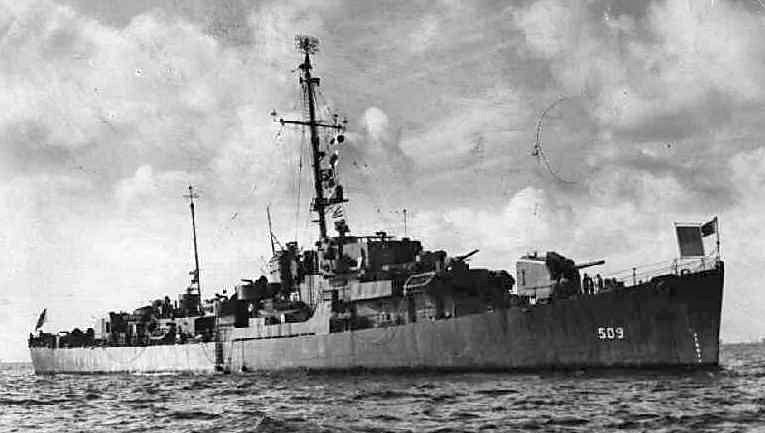 Canvas awning is rigged over conning position. 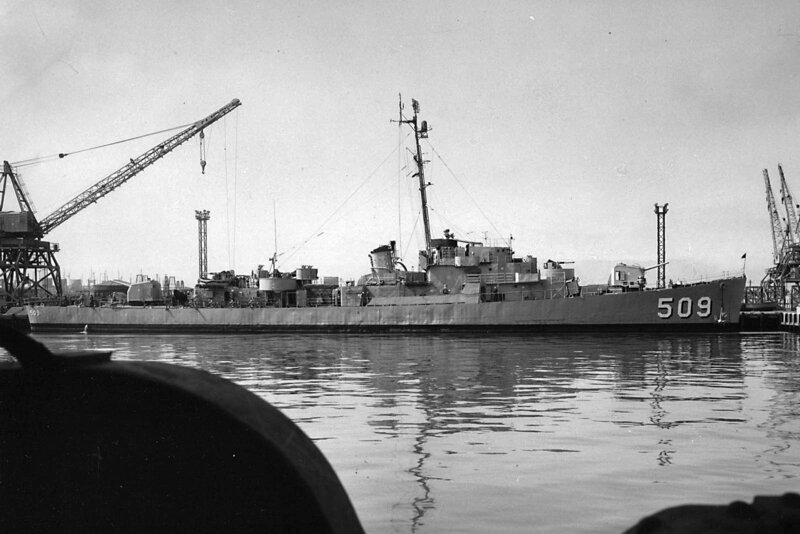 219k June 1951: just prior to recommissioning William E. Kidd, Jr.
221k circa 1956: Formoe moored at an unknown location. 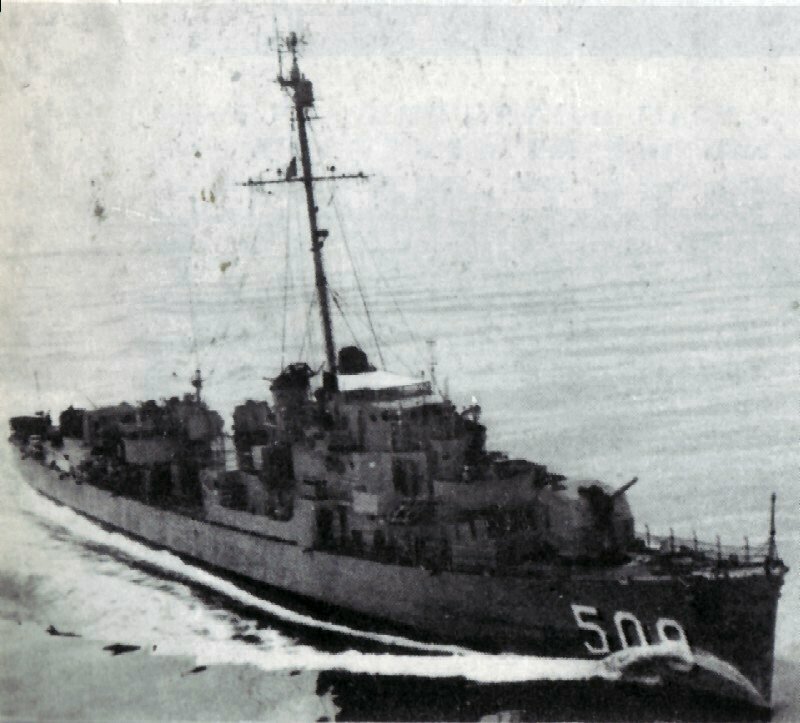 60k circa 1961: NRP Diogo Cao (F-333, ex-USS Formoe DE 509) underway, location unknown. 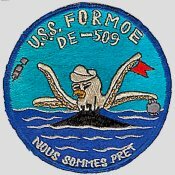 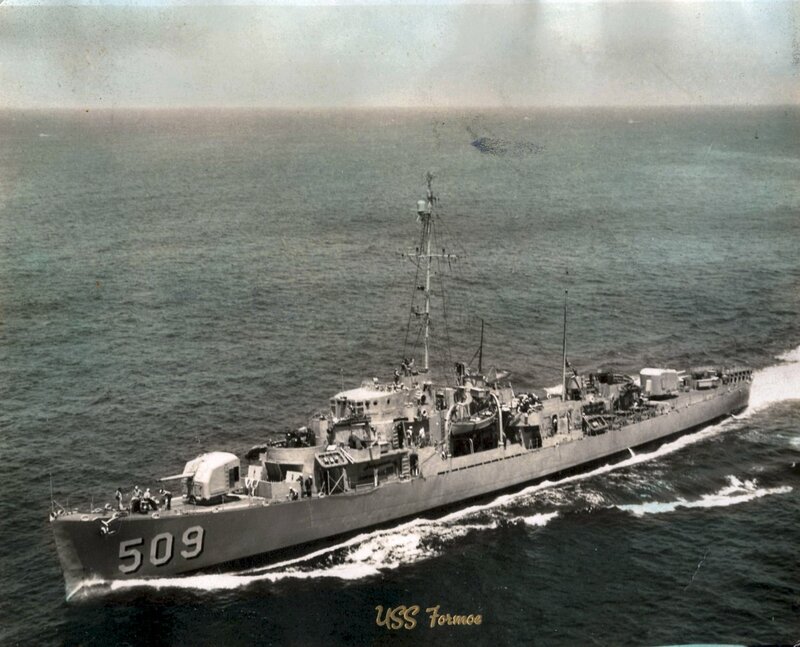 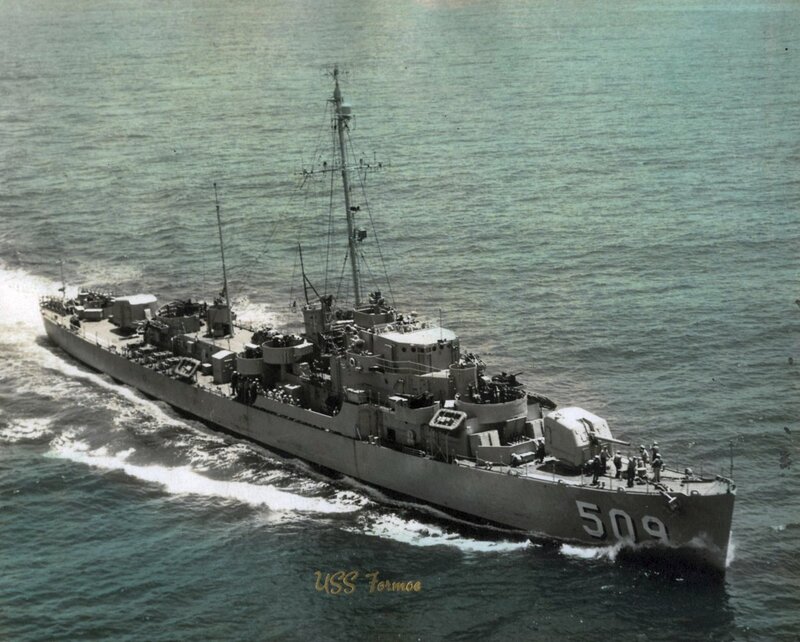 View the USS Formoe (DE 509) DANFS history entry located on the Naval History and Heritage Command web site. 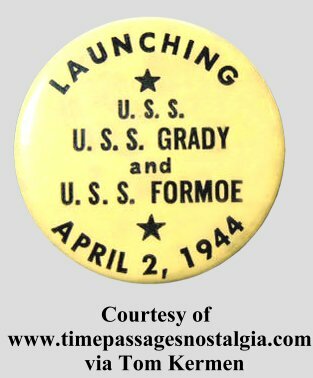 View the official War History of USS Formoe as submitted by the ship at war's end.